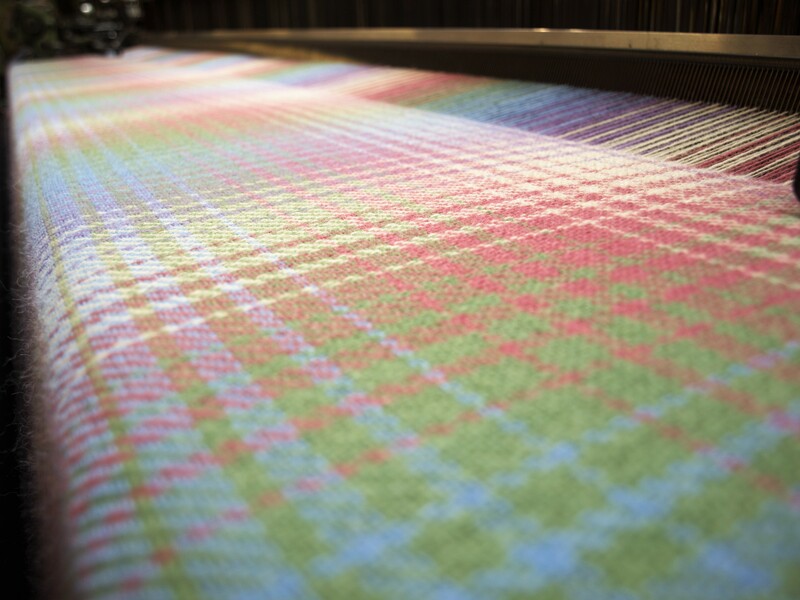 Woven at the Knockando Woolmill just three miles away in the very same parish as the fleece was grown makes this a truly unique Speyside product. 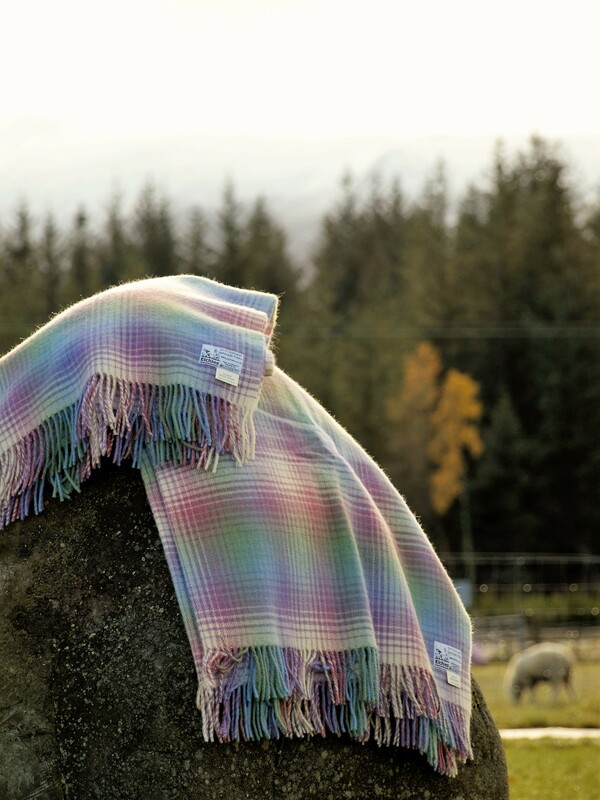 Designed by Hugh Jones of Knockando the BOREALIS name reflects the inspiration of the colour palette - the Aurora Borealis seen so often from Speyside. 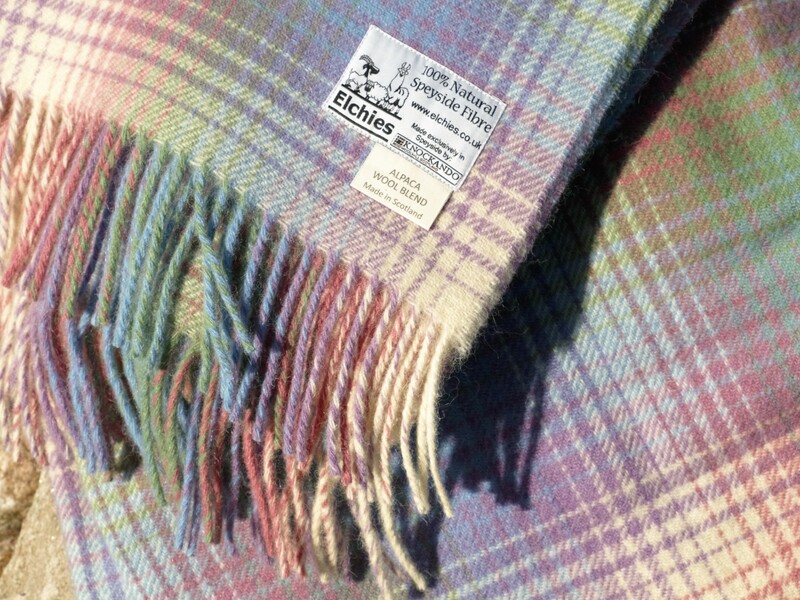 The exclusivity of this product is reflected in a Limited Edition quantity of only 75 blankets with each blanket coming with it's own numbered certificate. * Based on residence in United Kingdom. Tax rates for other countries will be calculated at the checkout. Price exclusive of tax: £124.17.